Uber has rapidly expanded its slate of transit offerings in recent months, with the addition of electric bike and scooter businesses. Now the startup’s CEO would like to see an emphasis on getting consumers to use bikes and scooters for shorter trips instead of cars, according to the Financial Times. Uber CEO Dara Khosrowshahi even admits that scooters and bikes could be a financial detriment in the short-term, a notable point as the startup moves toward an anticipated initial public offering in 2019. Ahead of Uber’s highly anticipated flotation, Mr Khosrowshahi said investors had to be aware that short-term losses were necessary to achieve longer-term goals — and part of that was a focus away from cars in inner cities. 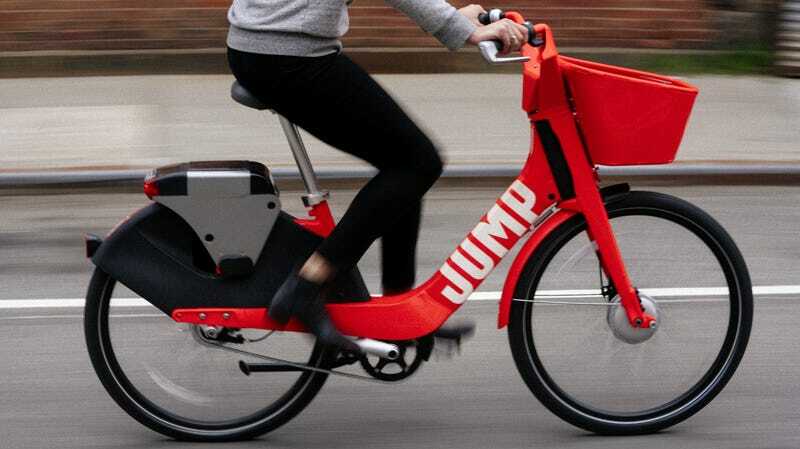 Uber acquired bike-sharing company Jump in April, and later struck a deal with e-scooter company Lime. The switch comes as Uber’s investment in self-driving cars appears now to be in flux. One of Uber’s autonomous test cars struck and killed a pedestrian in Arizona earlier this year. It was later determined that the vehicle’s software detected the victim, Elaine Herzberg, but failed to stop. Anyway, will you be jumping on a bike or a scooter instead of hailing a car for a short trip?